The film tells the profoundly moving story of Eilis Lacey (Saoirse Ronan), a young Irish immigrant navigating her way through 1950s Brooklyn. Lured by the promise of America, Eilis departs Ireland and the comfort of her mother’s home for the shores of New York City. The initial shackles of homesickness quickly diminish as a fresh romance sweeps Eilis into the intoxicating charm of love. But soon, her new vivacity is disrupted by her past, and she must choose between two countries and the lives that exist within. 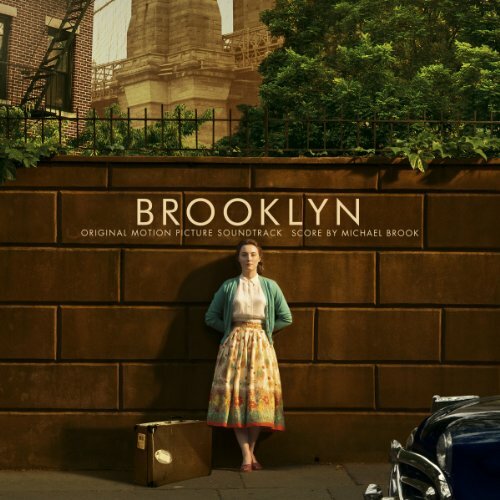 The movie soundtrack of Brooklyn will be released on November 6, 2015 by Lakeshore Records. What is the name of the piece of music played when the young Irishman finds Eilis’ letter on the floor at the entrance door? Snowflakes were shown. My heart went out to him! It is the most wonderful movie.